It was a good chai tea. I am more familiar with more robust teas that use more organic stuff but this was pretty close and for the price its actually not bad at all! I love chai tea, it's easy on my stomach which is uncommon for me. It's flavorful and light; the vanilla is not overpowering but enough to spice up my average chai tea. This is my favorite tea now. I like the mix of flavor. Its not too strong and smells really great. It goes great with milk and if i am craving for milk tea, i just mix more milk to my cup of chai tea. This tea passed my expectations I usually buy from speacialty tea shops but thought I would give this a try and glad I did. Very flavourful bold but subtle. Price was right! This for sure will be a staple in my house hold. I’m not a fan of chai as I find it to be quite spicy. I was excited about this because I was hoping the vanilla would tone down the spices. It is a good cup of tea, full of flavour. However I still would have liked it to mute the chai flavours a little more. Really yummy for vanilla lovers! I was hesitant to try this product because chai tea isn’t something I’d ever drank before, but I was pleasantly surprised! 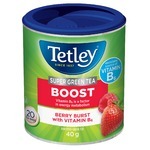 Very soothing, pleasant, and with a yummy aroma of vanilla, if you’re a tea drinker it just may be worth a try! Would definitely try this again! 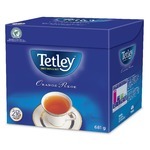 I love the chai taste and tetley definitely did an amazing job with this one! It's such a relaxing homey feeling tea! I would most definitely buy it again! A little spicy with a side of Mmmm. 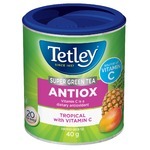 This tea is a staple in my tea cupboard. It's got the classic spicy chai flavour, with a hint of vanilla. It's SO delicious. I stock up on these when they're on sale at Walmart. Can get for around $2.50 when the time is right. It's the perfect flavour for a cold winter day! I love both chai tea and vanilla, so I gave it a try. The vanilla is very mild tasting, but tastes great. 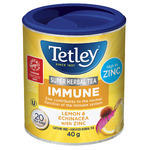 I drink this tea everyday, to help me unwind from a stressful day.